Get easy access to the block heater cord and keep the plug clean by putting a Block Heater Bumper Plug in the front bumper of your '03-'09 Dodge Cummins Diesel truck. 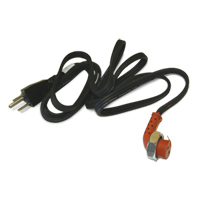 The Cummins Turbo Diesel engine block heater provided makes for quick warm-ups on cold mornings, but rooting around the bumper in cold, soggy weather to attach a power cord to a dirty block heater cable (if installed) can certainly discourage its use. That cable hanging freely from the front of your truck can also damage the paint and bumper. Install the Block Heater Bumper Plug and you'll have the heater connection located on a fixed position right up front behind a spring-loaded flip-open, waterproof cover. 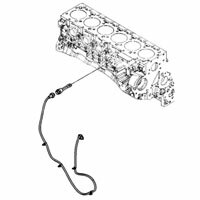 To install, remove the old block heater cable from the engine block and plug the bumper plug cable into the OEM block heater. 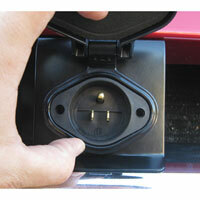 The Block Heater Plug installs in the opening next to the passenger's side tow hook opening. 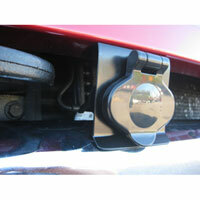 If your truck is equipped with OEM tow hooks they will not interfere with the installation of this product. All of the Dodge trucks with the Cummins diesel engine have a block heater already installed. 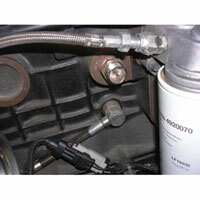 It is located on the passenger side of the engine behind and to the left of the oil filter. 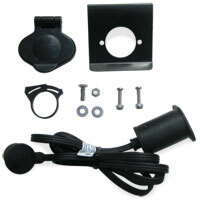 Once you locate the heater, remove the black protective cap and install the heater cable. NOTE: Will NOT work on '14-'17 Ram 1500 EcoDiesel. The included bracket for the 06-09 rams does not work on the Laramie without either bending the bracket more or notching the top of the fascia. I chose to omit the bracket and just drill through the fascia and the bumper behind it. Looks good installed but temps have not dropped enough to require it. Great construction. Directions were spot on. I do wish the cord were shorter- I had to manage an extra 1.5 ft. or so, but as that part is built for multiple vehicles it's understandable. Makes it easy to plug the truck in one-handed, even holding a newborn. Highly recommended! Quick and easy to install. Clean installation. Looks and works great. Nice product. 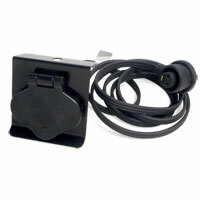 Makes plugging in the truck more convenient, and I like that I don't have a plug dangling all the time. Fits great, I wish it would have been available in Chrome like the picture shows. I bought this item because I was moving to SD. I'm glad I did because it's been -15 degrees a few times already and the truck cranks perfectly every morning. Recently, Wisconsin has dipped into the teens. The heater keeps my block warm, my intake heater hasn't kicked in yet. The real test will be next week, subzero temps expected. Rec'd. Worked good.Not to hard to install. Could have used a third hand a couple of times. Looks well designed overall and the mount fits without issue on the passenger side of the front bumper opening. 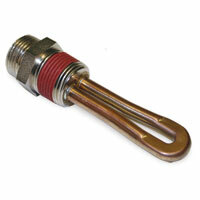 The connector to the actual heater element is secured by a a plastic clip. Think wide reusable wire tie type of clamp. I just got tired of my prior plug dangling from the bumper and finally bought the right item. No complaints here at all. As always.. thanks Geno's Garage ! "You cannot beat the prices and customer service that Geno's provides! I will be spending a lot more money with you guys!"